"Almabase for All Things Alumni"
I like the fact that we are able to create an online community for our participants (alumni and program participants) and customize many of Almabase's current features to meet our needs. Our experience working with the Almabase team has been very positive. There are a few things we'd like to customize a bit more but realize that the primary framework is designed to meet common needs across multiple Almabase clients. It would be great if we could track the career progression of our users on the portal (when they were hired for their first post-grad role, when was their first promotion, how many times were they promoted, etc. and run a report on that information). The more you know about your current AND future needs the better. Start wide when developing your wishlist of functions and capabilities (internally) and try to narrow it down to offer 5-6 high-level points around your must-haves so the Almabase team can focus on that and start off strong. Share and revisit your larger wishlist so those things are on their radar. They are very good at thinking ahead and about ways in which they can meet future needs for clients. Also, don't hesitate to offer feedback. They are open and receptive to it...and it helps them to achieve their efforts of building a better product for you (and other clients). We've been able to find and reconnect with many alumni, and track their engagement with us (via the platform) in a number of ways. Being able to house our job board on the platform has been extremely useful. Additionally, the benefit of tracking candidates submissions (as an admin) and keep track of positions to which one applies (for users) is priceless. There some customizations we'd like to see here but again, we realize the platform is not built for just nonprofit organizations like ours. "Strong and Efficient Alumni and Communications Platform"
The Almabase platform is excellent for communicating with alumni. Their templates and scheduled emails make my job much easier, and being able to create groups to communicate with has been extremely helpful. I also appreciate the timely response of their staff in responding to issues that arise. There are limited ways for the alumni who have joined the community to interact with one another. It might be valuable to have a group forum or chat feature, similar to a Facebook wall. That might also encourage others to visit and participate on the site. A big part of what I use this for is communication. This allows me, the director of alumni at a small institution, to manage emailings, newsletters, and other communications without the assistance of a staff. For that reason I consider it invaluable. Our biggest issue was managing communications with our alumni. This platform has really helped us to solve those issues and create an excellent communications schedule and venue for reaching alumni. "Integration, flexibility, networking, and engagement." We did a lot of research before signing with Almabase. What appealed to our Advancement Department was the flexibility of the platform and the control our office has over the content. It's fresh, modern, interactive, and engaging. Our alumnae love being able to login using social and our office appreciates being able to customize the menus and add / change pages. What I dislike is also a like, as once I've brought our feedback to the Almabase team, they work with us to change / update / fix or find a solution. I would one day like to have our alumnae see their own personal giving history. I strongly recommend Almabase. The team will ensure that the platform meets your needs. We host our career resource center on almabase, it's easily accessible to our alumnae and mentors. We also use it for alumnae social networking. It is fairly user friendly and can be figured out without much direction or explanation. It is a professional looking site. I like how it links our social media to the page. Alumni enjoy seeing the map of where alumni live. I would like Almabase to interact with Raiser's Edge. When an alumni updates their contact information in Almabase, I wish it would also update in Raiser's Edge to keep our 2 systems active and accurate. 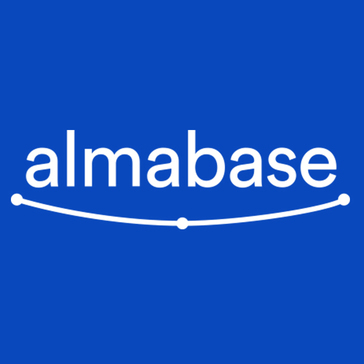 I also would like to see an Almabase user manual, online tutorial, or even attend a workshop on how to use the website and all it's functions. Our data is set up differently than what is required for uploading to Almabase. It is time consuming and makes it difficult to update our records and create email groups. Able to build emails/newsletters and email to specific alumni groups. "Very helpful & communicative in the beginning, but several issues arose after the launch"
I really appreciate having one platform for all the various activities of our program and perhaps most importantly the map showing where all our alumni reside. The response rate from the team had been very slow for a few months after we launched the platform and it felt like we were given a lot of attention until we signed the contract / designed the platform, but were then left on our own without much communication. We've also had a number of issues we had to troubleshoot on the platform. Make sure you think through all the process and communications elements you need from a platform. For us, certain limitations of the platform were crucial and made it tough for us to advocate for its effectiveness since people weren't using it much. It's not necessarily Almabase's issue, but we would have benefited from a more thorough review of their capabilities. We have a growing community of alumni from our fellowship program and wanted to find a way to keep everyone connected. Unfortunately, the platform hasn't been very effective so far. This is partly on us and the time it takes people to familiarize with/adopt a new platform, but it also has to do with the fact that the platform is not doing some pretty basic things we needed (e.g., sent notifications when people upload their stories) to keep them engaged. Almabase is great for a small, independent school community. It greatly helps us manage alumni contact information and data. We are working directly with Almabase to better adapt their program to fit our needs. I started in my position a week after my company launched with Almabase and their team was incredibly thorough in working with me to adapt to Almabase. They had just taken the time to set up our portal with my predecessor and they took more time to explain everything to me. We wish Almabase would connect with more Blackbaud products as we use eTapestry and cannot directly update data between the two systems. We understand that this is something they are working on and will take time to be compatible with every different donor database system. Although it takes time to learn the ins-and-outs of Almabase -- there are so many components, it's truly endless what you can do -- the customer service experience is out of this world. There is always someone on standby to answer questions and if they don't know the answer, you'll have one within 48 hours at the very latest. They're always willing to listen to feedback to make the program better fit your needs and they are constantly sharing best practices from other organizations that have been using the product for a long period of time. It's amazing that they have connected us with other like-sized schools to get their feedback on Almabase and to see how they're using the product differently than us. Almabase is assisting us in keeping track of data and connecting with Alumni. It is also assisting in managing our mentorship program. The customer service at Almabase is fantastic and they are consistently working with us to make updates and adapt the product to our needs. "It's getting better and better"
Almabase initially interested us because of the ability to have an all-in-one approach to our alumni communications, integrated database (behind the scenes) and a fancy front website. The team have been working with us to continually improve our end and they've been working hard to improve their back - end for our data purposes. Sometimes I find the time lag between the UK and USA takes a while for us to get a response, if urgently needed! Work with them, tell them your needs and they will help to apply the product for what you need. We have a bespoke website and we've gained new alumni. "The Best of the Bunch!" The seamless moving capabilities within the online platform provides quick access to menus and features of all sorts. The DataStudio and various Settings provide ample opportunities to ascertain data and set up needed or required parameters. There are no on-the- fly Website Theme Templates to choose from and/or to toggle back and forth. "I work at a school who uses almabase and I am an alum of the school as well." I dislike that not everyone registers all of their information. I wish more information would be required for a profile. Work closely with the staff. Be sure that all constituents understand the capabilities of Almabase. Be sure you communicate with the group who you are reaching out to and let them know what Almabase is being used for. We are solving communication issues. We are able to send newsletters with ease to cleaner data enter by the constituents. We have realized many alums have not received as much information as we would have liked. "Very Positive experience with Almabase"
I really like how easy it is to use Almabase and they give you so many options of different ways to connect with Alumni. If you have a problem with something they get right on it and get it fixed right away. I have not found anything I dislike, we would like it if it would allow us to take a donation right away instead of directing us to another company to take the payments. We use it to reach our Alumni and to connect with them. I love how user friendly Almabase is and how perceptive they are to feedback. Their customer service is great, and they continue to update their site which continues to provide our alumni with new and exciting ways to engage. Nothing - any problems we have found are always quickly responded to and taken care of! This is a cost-effective tool to allow your alumni to engage with not only institution, but more importantly, one another. We primarily utilize it for events & communications, both of which ultimately bring people onto the platform to hopefully increase their engagement. The latest benefit we are seeing is the option to let our alumni form groups based on their experiences at our college. I love the user friendly design and quick set up features. There is close to no learning curve and the application makes it super simple to get started using. I felt like I was really getting a strong understanding of the functionality right away and kept me engaged. The more I use the software the more I am truly understanding all of its capabilities and functionalities. It's an exciting product to use and I can't wait to keep engaging with it. I would like a more strengthened option on mobile so I don't lose the same features when I'm using it on the go. It's not ideal to use my phone but most of the time I don't have a choice. This doesn't mean I had a overall negative experience utilizing a mobile platform, I just had such a positive experience using my computer I would want just as great or better experience overall using my phone. I think you and your team should highly consider at least trying out this software. My company has seen results almost immediately and really has put us in a more competitive position. Of course everything is a numbers game and Almabase in that equation is a clear winner overall. Functionality and access is something hard to perfect but that almabase has really helped. Finding individuals and helping them engage is important. It really has revolutionized how we do business on so many different levels and facets. "Easy to use platform and great customer service"
It is a tie between the Almabase platform and their great customer service. The website platform is very intuitive, nicely designed and easy to use. AND . . . whenever I do have a question and reach out to Almabase, they are very quick to respond and spend as much time as I need helping me understand an issue. Since I am responsible for the brand at my school, I would like to have the opportunity to have control over the colors throughout the site. We are fairly new, so I don't even know if this is possible; however, I would want to make sure that the headings and fonts are not easily changed be someone editing or creating a particular page. Having a "one stop shop" for everything alumni certainly makes sense and we're hoping that it'll help us to manage and stay connected with our over 12,000 alumni. As I said, we are fairly new, but we are trying to have everything "alumni" in one place. That means collaboration, reconnecting, donations, news, events, etc.! Plus, we like the fact that an alumnus needs to log in so that we are able to capture important email addresses. "Almabase has radically improved our alumni outreach about a decade forward." Almabase is exactly what we want and need. We could not be more thrilled for the incredible customer service and features their intentional team offers. They are always willing to listen to feedback and work with you to strategically alter their services to fit your alumni needs. We have not run into a major issue with Almabase in our partnership. Almabase has helped us streamline communication, manage events, categorize news, organize interest groups, and more. I like the way it has been develop. it makes it easier for alumni to connect and interact. We also have country chapters form on it for it to be easier for our alumni to search for their country members. It also has inbuild email platform for sending bulk messages and notifications. Its a very good platform and will always recommend it to other institutions. We are using it to connect our alumni from different countries. I have seen that most people have been able to connect to their friends and also find help in their various fields of track in-terms of help. "Great support team of alumni platform with focused tools"
"Great looking website and easy to work with." The staff is very friendly and easy to work with. Our website looks 100 times better than what it did before and the additional functions provided make it easier for us to be efficient. Pictures don't always look good when uploaded for donation pages or even the homepage. We are able to take admission to our events and create donation pages for all funds. "Almabase have propelled our alumni databas forward "
It’s a great platform to capture up to date data as people put this in their self. "Great product and customer service"
Almabase consistently has outstanding customer service and really listens to clients needs. Their platform is very intuitive and easy to use, and they are great and providing suggestions to improve activity with our alumni. No real dislikes. Most concerns or suggestions have been quickly addressed by Almabase. It has been a great took to engage our alumni, communicate with them, and allow them to sign up for events. It's also been really helpful in gathering updated contact and career information with our alumni. "Almabase has assisted us tremendously by streamlining many of our engagement efforts. " Almabase integrates several different systems into one easy to use location. I especially appreciate its integration with Raiser's Edge. I also really appreciate their willingness to understand our engagement strategy and come up with solutions on their end to assist. While most of the time Almabase is great, occasionally the site crashes or malfunctions. This has happened in some critical situations. Almabase has allowed us to combine several different products solutions in to one easy space. Website, director, email process, event registration, etc. "Great customer service and very good plattform"
Thr best thing about almabase is the super fast customer service. At almabase they live for their customers. The plattform is very good and they have a neat integration of all your data. There is not much to dislike. There is a lack of othet languages for their plattform. German lnaguage is not supportet for example. We have upgraded our alumni base to a new, fast and responsive plattform. Our alumni can now register for upcoming events fast, safe and easy! I like the staff and their willingness to work with us as a specialized organization. I question the data integrity of transferring from Almabase into RE. Too many unknowns and questionable pieces of data coming from the alumni. Ask questions, and seek help in achieving your goals and needs. The staff are very supportive in all ways. We now have an online alumni directory that our alumni find to be much more user friendly. "We have had an incredible experience. " I like that we can go to one place to get everything done. From email communication to RSVP's almabase makes it so easy! I dislike the email glitches that sometimes happen with software updates on their end. We are now able to email all of our alums without our personal emails being spammed. We are also able to pay dues online, track RSVPS and have actual event pages. The ease and the ability to communicate with alumni. That there is no App for users to have on their phone, so primary communication is via email. With an app we belive there would be more engagement and a richer community. Almabse helped us contact alumni from the last 20 years when emails were not kept and collected. Helped through social media and capturing information. "Amazing Tool to Track Alumni"
The ability to be able to create events and track RSVPs without using paid tools such as evite, etc. We are using Almabase to track our alumni and create a network for them. It really is a great tool to use. "Great features and adaptable platform"
We love the ability to have an outward facing alumni platform for our community, while also using the database feature to run reports and data for community. The platform had many bugs when we first started with it. This is a newer company and it seems like they've had things to work out with functionality. They were still the best option or us because of everything they offered. This platform allows our alumni community to connect with each other- it has increased engagement and also increased our ability to track what are alumni are up to, professionally. Ease of use and willingness of employees to work with their clients. There can be a lag between when you reach out for support and when you're contacted. No communication between AlmaBase and RE. Ability for Alumni to update their profiles and connect with one another on their own. The user-friendliness and the graphic design. Nothing really. Maybe just it's a little hard using the admin tools. We are using it as our alumni database, where we can post events, share files, create personalized pages, track the academic progress of our alumni, fundraising, and more. The permanent suport of the development team was fantastic. I'm fine with all what you have done so far. I am looking forward to find new features of the platform. Almabase is a great tool that trully engaged our alumni. "Director of Development and Alumni"
Nice layout, user friendly and is logical to use. "System lacks a few critical automations that would make it meaningful." Front-end user interface is very clean. It appears simple and the layout is easy to control. The lack of automation and intuitiveness in navigation for admin. I would check the features you need as we like more automation but there are some limitations that other area specific platforms have that is not present in Almabase. "Very Helpful & Easy to Use"
I like how easy the platform is to use - the back end is very user friendly. We are using this to help keep in contact with our graduates and help support them in their careers. The convenience of the template for emails is my favorite feature of Almabase. I would greatly appreciate if we had a better way to connect the social media accounts like Facebook and Instagram to Almabase. We have used Almabase to continue to connect with Alumni and store data from Alumni. Quick and easy to use. Constant updates being done to the platform allow for problems to be solved easily. No ability to shorten url links when trying to direct alumni to specific parts of the website. Better data collection and easier to keep up with alumni. * We monitor all Almabase reviews to prevent fraudulent reviews and keep review quality high. We do not post reviews by company employees or direct competitors. Validated reviews require the user to submit a screenshot of the product containing their user ID, in order to verify a user is an actual user of the product. Hi there! Are you looking to implement a solution like Almabase?